Why not tie efficiency upgrades to home sales, home improvements and other “trigger” points in a home’s financial life? It should be simple enough to sneak in a $300 to $600 energy audit when a home changes hands, whether by requiring home inspectors to do it, or by offering lower-cost permits and other incentives for homeowners to do it themselves. Once that’s done, you’ve got a clear set of potential savings to invest in, from replacing air filters to putting in central heat. 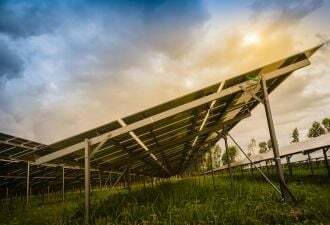 Those can cost thousands of dollars -- but they could be financed by innovative, low-cost structures like property-assessed clean energy (PACE) or energy services agreements (ESA), to name a few. It would help if the federal government would tie Community Reinvestment Act (CRA) credits to energy retrofits to boost loans in distressed communities or reduce federal housing insurance premiums on mortgages on energy-efficient homes. These are a few of the many policy and finance recommendations in a Wednesday report from the California Clean Energy Fund (CalCEF), the UC Berkeley Labor Center and the BlueGreen Alliance. Entitled “Pulling the Trigger: Increasing Home Energy Savings,” the 62-page report lays out a set of trigger points, or times when finance and efficiency incentives come together for homeowner and financial parties alike. The trigger points -- the time of sale, the time of renovation, and the time of energy rate increase -- are broken down into categories of recommendations for disclosure, enforcement, incentives and finance. At the time of sale, for instance, CalCEF’s report calls for mandated energy disclosure for seller and buyer, based on a standard asset rating schema that parties can agree on, and that home energy features be included in real estate MLS listings. Those are just two points out of 21 covering all three trigger moments, from disclosure to financing, on page 36 of the report. At the time of renovation, for instance, the report calls for mandating energy asset scores for retrofits over $25,000 and offering permit relief. In the case of energy rate increases, the report recommends that utilities be mandated to communicate with all households when they’re about to hit a higher rate. It also suggests that they provide information about energy efficiency retrofit options, in dollar terms for cost and long-term savings, to catch people when they're thinking about ways to reduce that higher rate. “We’re trying to demystify the efficiency-regulatory arena, and connect that to the housing and banking arenas,” Lori Bamberger, the CalCEF entrepreneur in residence who wrote the report, said in a Tuesday interview. That means the financial sector is a part of the process, and faces its own recommended changes. Valuing efficiency is a cornerstone of that effort, Bamberger said. The report suggests that banks and other lenders look at calculating total debt (which can include energy bills, instead of merely mortgage indebtedness) and seek out ways to save there. On that front, the report calls for “modifications to existing mortgage financing, refinancing and home equity products” to build energy efficiency into home value metrics. Proposals such as the SAVE Act, introduced in the Senate in October, could lead the way to establishing asset ratings that can serve that purpose, Bamberger noted. 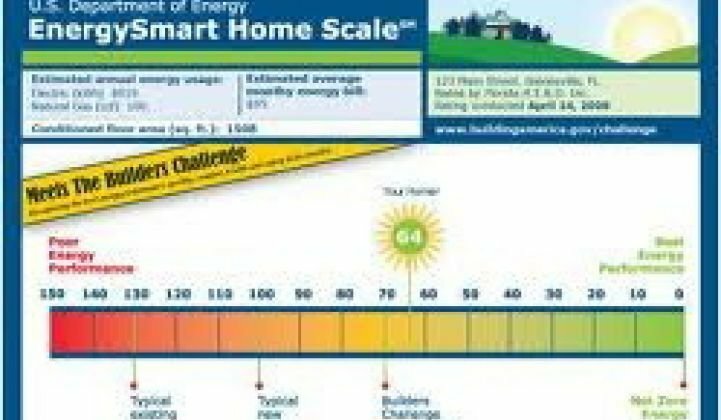 In California, energy efficiency law AB 758, passed in 2009, calls for a comprehensive energy efficiency program that could include asset ratings as well, though CalCEF’s Wednesday release says that implementation of the law has been “sluggish” to date. Bamberger, who worked for 25 years in federal housing and finance policy for U.S. Sen. Paul Sarbanes, HUD Secretary Henry Cisneros and San Francisco Mayor Gavin Newsom, said that a key purpose of the report is to spur economic recovery in the distressed housing market. In particular, the report is meant to provide some solutions for California, where some 30 percent of homes are worth less than they were before the housing crisis, and half of all home sales are “under distress,” i.e., in the foreclosure process. But energy upgrades, when properly done, should cut monthly costs and improve home values. That means they should be part of the discussion in every big financial decision made in the course of a home’s life, so to speak, whether it’s a distressed property fund investment or a home equity loan for the two-thirds of homeowners who still have equity to draw on. Along with Berkeley and BlueGreen, CalCEF will be talking about the report at the upcoming Statewide Energy Efficiency Best Practices Forum in Los Angeles this week. Topics will include the construction job growth that could come from boosting home retrofits; Global Green will update attendees on the status of AB 758. Should be an interesting discussion.